It's been a while since I've posted any recipes, so this is long overdue. 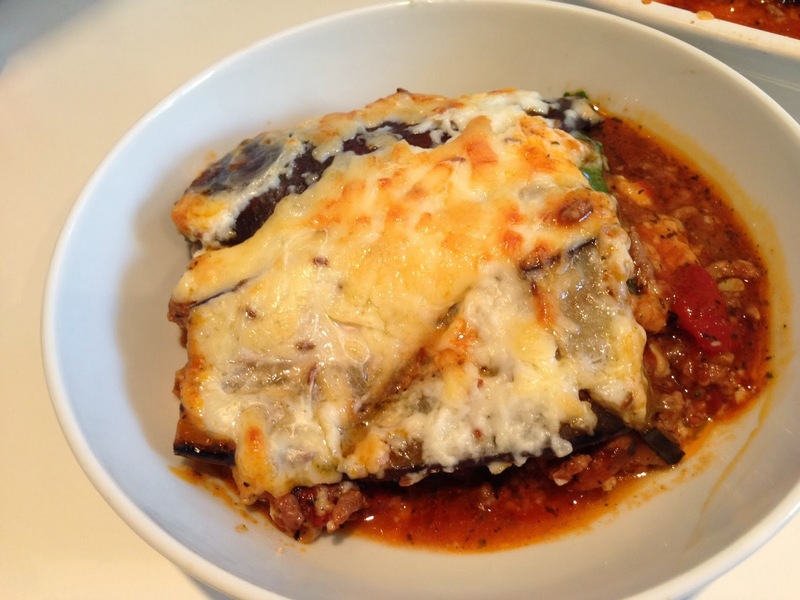 This moussaka recipe is a firm favourite in our house now and you get a good few portions out of it which survive nicely in the fridge or freezer until you want them (defrost before re-heating otherwise it's a real pain to heat through properly). 0. Turn the oven on to 175C to warm up. 1. 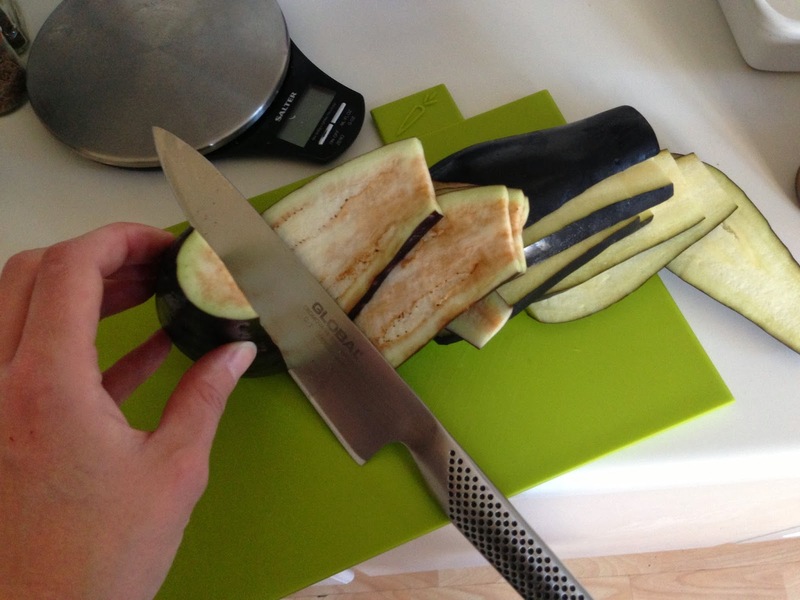 Slice your aubergine into slices around 3-5mm thick. 3. Slice the onion finely. 4. 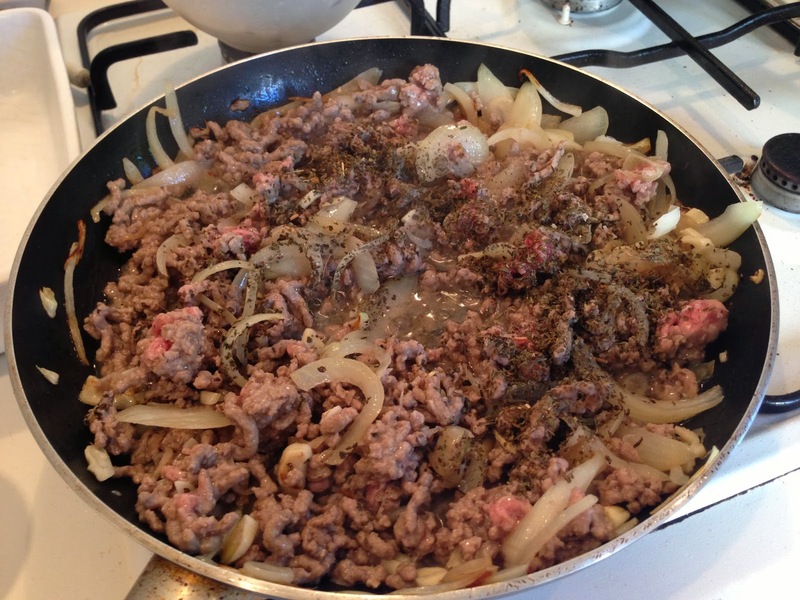 Brown the lamb mince in batches with a little oil to start off with. 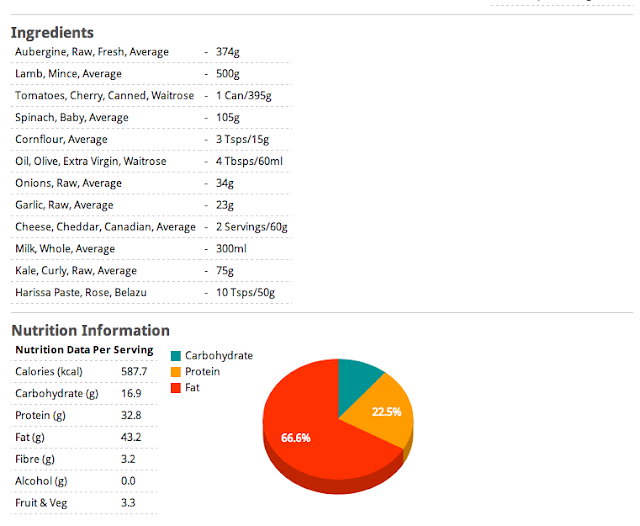 Oil will come out of the meat so don't worry it's not enough at the start. 5. 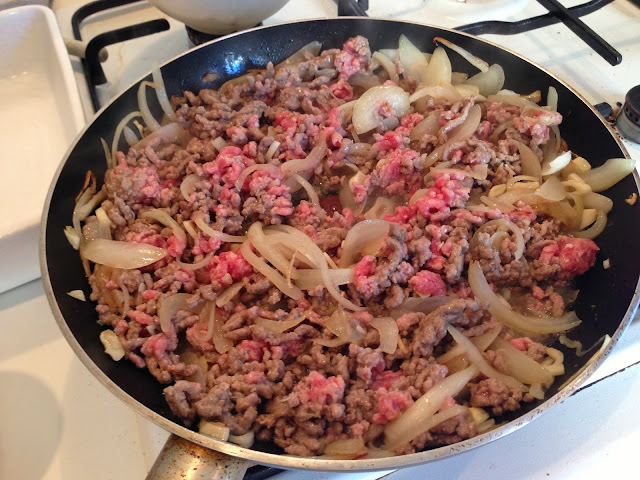 Add the sliced onions once the meat is browned. 6. 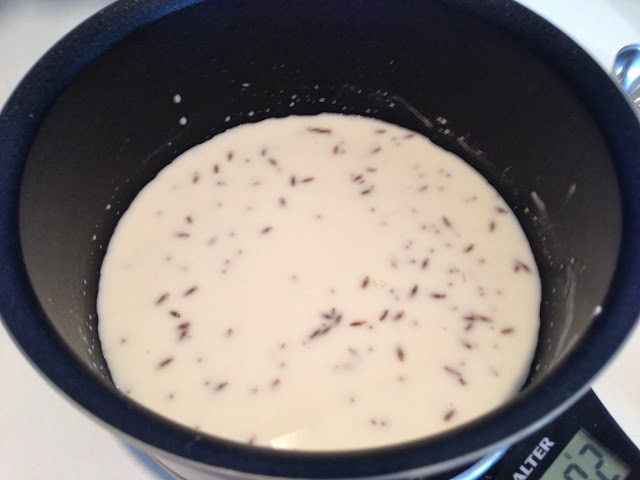 Blend the cornflour with a little of the milk until smooth, in a milk pan, then add the rest of the milk and some cumin seeds. 7. 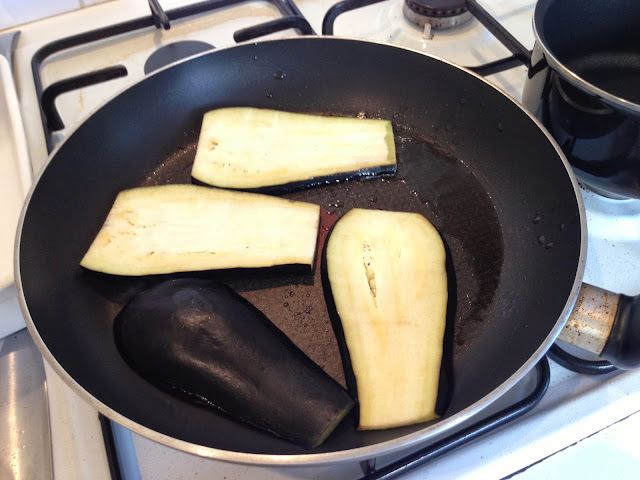 Heat gently and stir until thickened, then take off the heat and stir a couple more times. 8. Season the meat pan with a little salt and black pepper and some herbs if you like. 9. 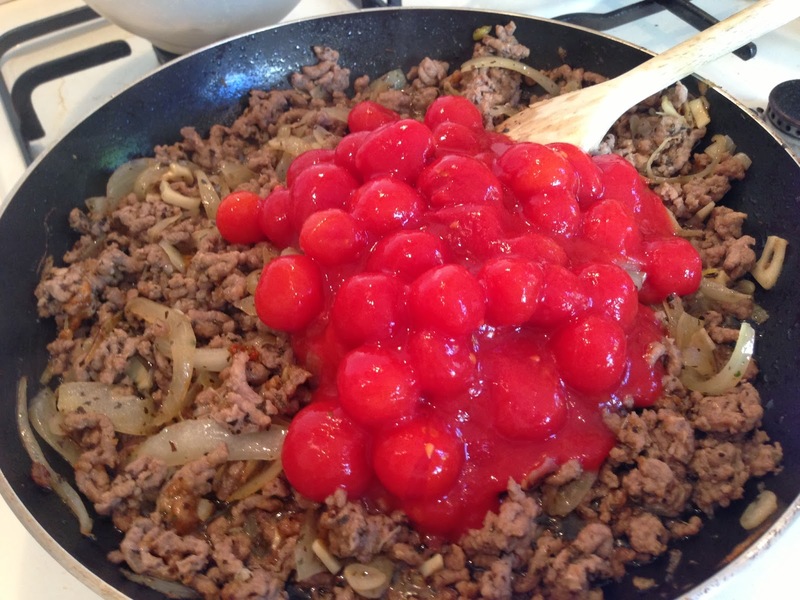 Add the tinned tomatoes and harissa paste and simmer for 20 minutes or so, stirring occasionally. 10. Spread half of the meat on the base of a baking dish. 11. 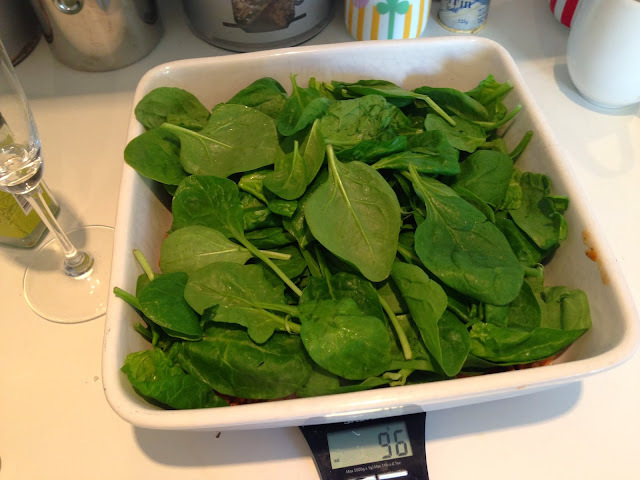 Top with half of your green leaves. 12. Layer half of your fried aubergine on top of that. 13. 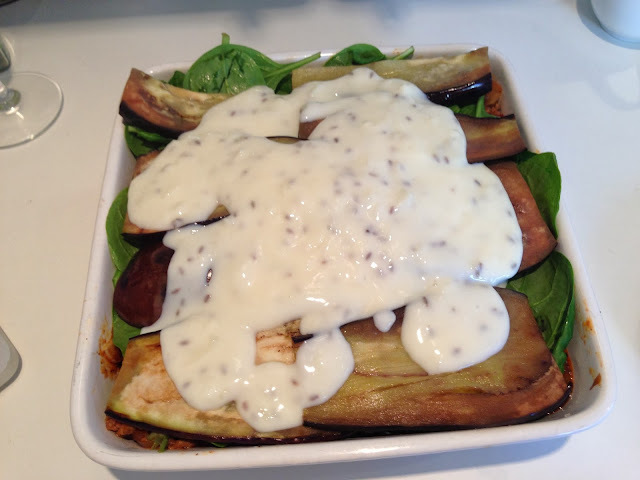 Repeat with the other half of the meat, leaves and aubergine, then pour the white sauce on top of the aubergine layer. 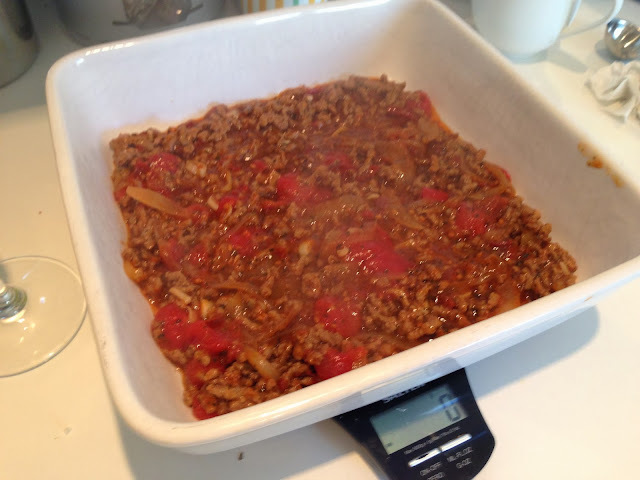 Spread out evenly to cover all of the top so there's nothing sticking out to dry out later. 14. Grate your cheddar and sprinkle on top. 15. 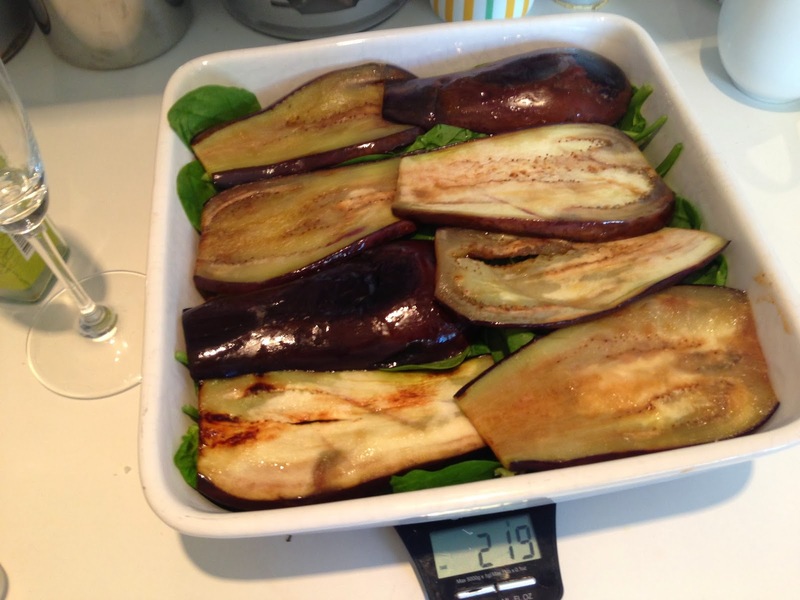 Place into the oven for 30-40 minutes until golden brown and bubbling. 16. 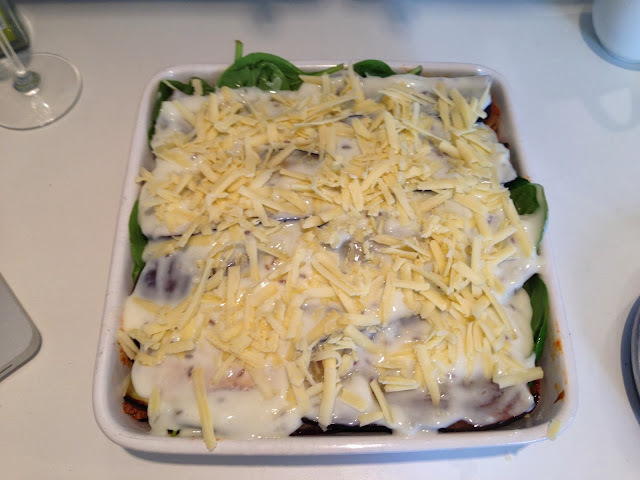 Cut into 4 portions and serve/divide up into portions to chill for later. 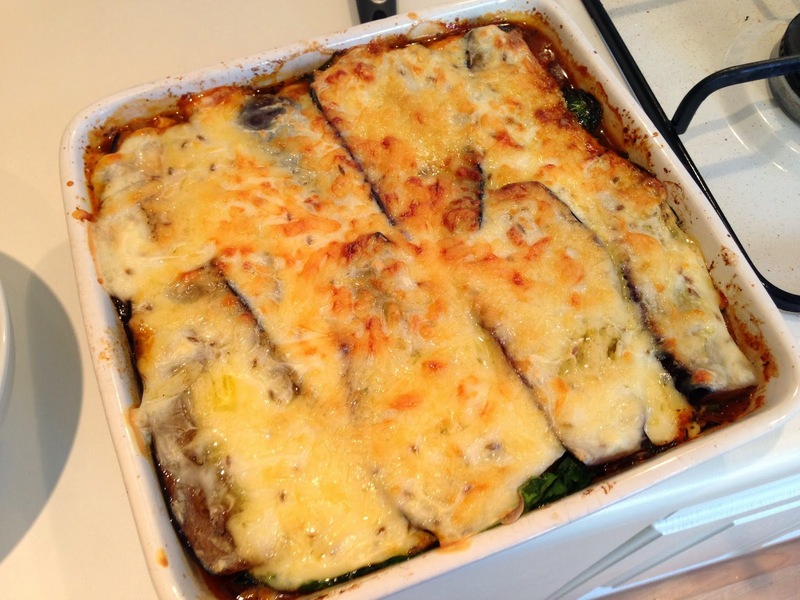 I love the addition of the spinach, I am SO nicking that idea for next time I make moussaka.